Does your display say something like " external device not connected"
or does it respond very slowly to button presses? This common occurrence was covered by a recall, but if yours is out of warranty, you need Our service. Be sure to include your name and shipping information, attached to the unit. 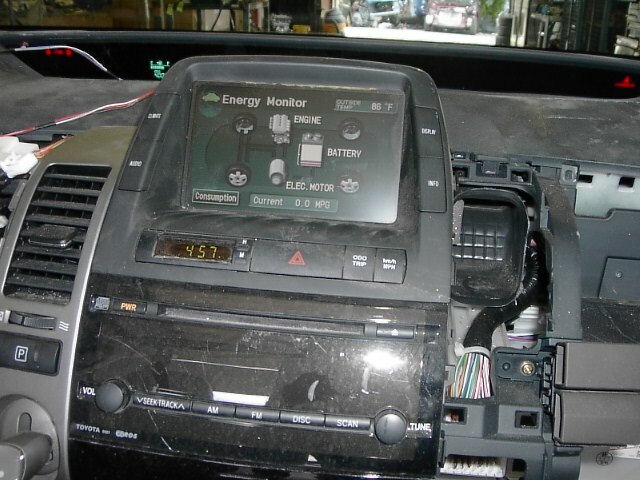 Can I still drive the car with the MFD removed?, .......Yes you may use the steering wheel controls for some fuctions. Q?Do you know if there is a problem sending engine parts across the US/Canada border? ...................repair parts have not been a problem, you may pay a tarif. Q? I have resoldered my mfd and it still does not work, can you fix it? A. NO, do not send an mfd back if there has been a failed attempt at repair. Q? Do you resolder them? A. We replace defective surface mounted Caps. Q? 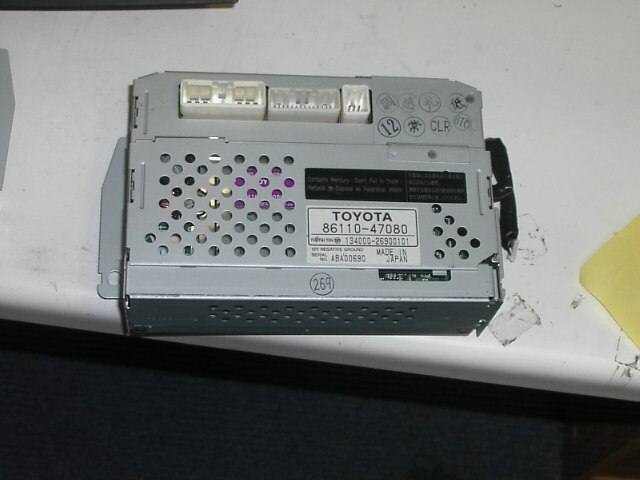 how do I replace a Toyota Landcruiser MFD? A. I will send photos with easy to follow instructions to you, just send an email and ask! Q can you replace cracked glass from a suction cup being attached ? A. No, we have purchased replacement glass from asia but it was not a good fit, and we are trying again. Q? I just got my MFD back and it still does not work, what could be wrong? A. unplug any foreign interface like a sat radio, or mp3 player jack. then try again. We test every MFD in a prius before returning them to you. A. We have sourced replacement glass ( called the resistive touch panel) from asia, but the replacements are built backwards, and the ribbon cable will not reach. it took months to receive the parts and it may be months until another sample arrives. therefore... we cannot at this time repair broken glass. Thank you for looking and check out my feedback! I will be happy to answer any questions.